Discussion in 'Motorsport' started by GTPNewsWire, Mar 24, 2019. This article was published by Kyle Patrick (@SlipZtrEm) on March 24th, 2019 in the Racing category. ASH32, buraspo, Aderrrm and 10 others like this. 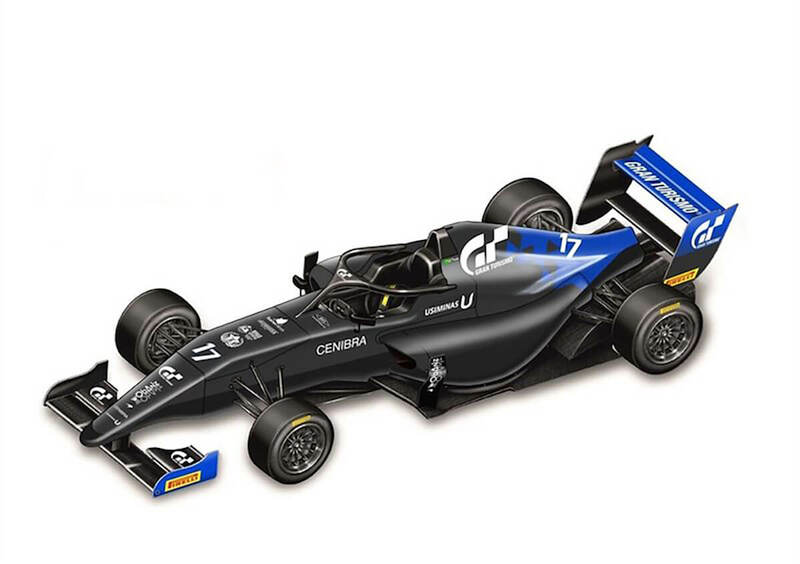 Part of me hoped that the Formula 3 car will come to GTSport so we can have complete lineup of open wheelers (F1 and F3 with Super Formula in between). GregOr1971, GT_Alex74, NosOsH and 5 others like this. That's great news. Fraga is one of my favourite online racers. Looking forward to his oncoming on-track races. I'd like to see them if I can. GregOr1971, girabyt3, potvinsuks and 2 others like this. GregOr1971, girabyt3, AgentBlackDog and 2 others like this. That is fantastic. Congratulations to Igor on this success and I wish him all the best. ASH32, girabyt3, potvinsuks and 3 others like this. AgentBlackDog, danimac and davidt33 like this. It there anyway to watch those F3 races online? Or are the televised somewhere? Would love to follow this series and cheer for our man Fraga! girabyt3, PSN:And-War, danimac and 2 others like this. I saw Fraga racing F3 in Interlagos in 2017. I saw him winning the FIA GT Nations Cup and Mclaren Shadow competition last year. Now the "kid" is gonna race F3 in Europe. Damn. Rock on buddy, hopefully you'll kill it there and get to make professional racing your carrer. Fly Fraga! Cheerin' for you from here in Brazil! girabyt3, AgentBlackDog, FoRiZon and 6 others like this. Guffaluff, danimac and davidt33 like this. Wow Spa Confirmed I knew it was only a matter of time guys! Great opportunity there.. Congrats Igor! http://www.f3regional.com/# Look like I find official website to the stream but idk if we have to pay for it. Go Igor! Go Igor! Go! I'm sure someone from gtp has seen this. Wait and see. Didn’t this championship get canceled...? Or was it a different European Formula 3 championship? Great news, really liking the livery. Best of luck @Igor Fraga. Hope you make it to F1. If he ends up getting into Formula 1, that would be quite something. Part of me hoped that tye Formuka 3 car will come to GTSport so we can have complete lineup of open wheelers (F1 and F3 with Super Formula in between). So cool and sponsored by GranTurismo and Mclaren too! I love this sinergy between real life racing and virtual racing. That's great. Now he will have someone to take care of his pit strategies . The news is only the sponsorship as Igor has been racing F3 for some time now. F3 Brazil, I think, this is Euro F3. Nice work @Igor Fraga wish you many successes. Always enjoy watching you race. I have to say I have absolutely no clue who Igor Fraga is... is he related to Felipe Fraga, who's been driving for Riley Motorsport in IMSA this year, amongst other things? http://www.acisport.it/en/FORMULAREGIONAL/news/2019/58424/in-the-battle-vesti-is-the-winner/Paul third place not bad for him for the first race. kembro, TheHun99, Aderrrm and 2 others like this.